Taipei skipped over the smoothie phase straight into cold-pressed juices, juice cleanses and juice bars craze this past year (with the openings of Juice In, Juicy Diary, Juice 8, Boost Juice, Goodies Cleanse, Vegg Out), but smoothies still hold a special place in my heart. At each of my jobs post college, there was a Jamba Juice nearby to hit up with co-workers during our lunch break or after work. Sometimes when we didn't have enough time to eat, we drank our smoothies on the go. 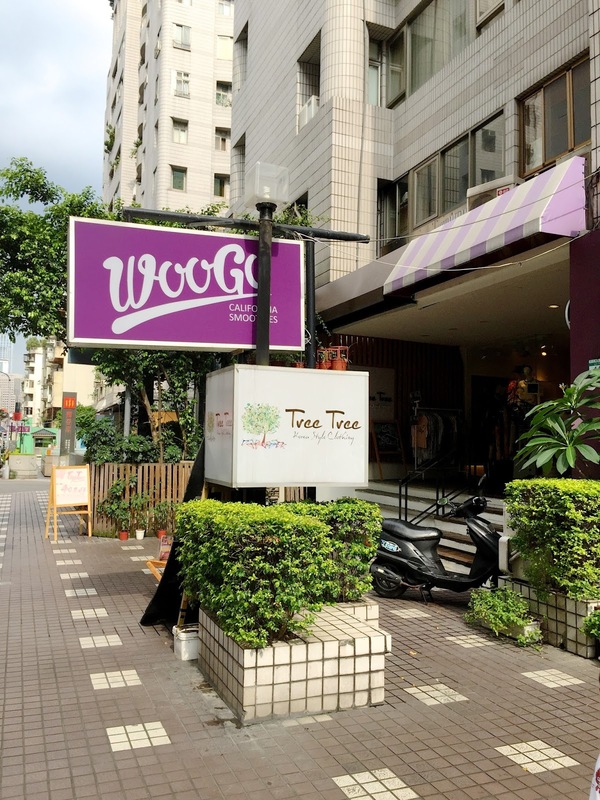 When I first moved back to Taipei, there was a smoothie shop at (then) Warner Village, but it eventually closed down. 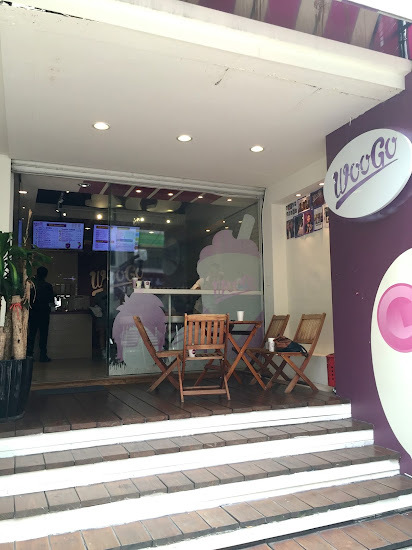 There were plenty of sugary boba tea shops or fresh fruit juice places, but somehow no smoothies. 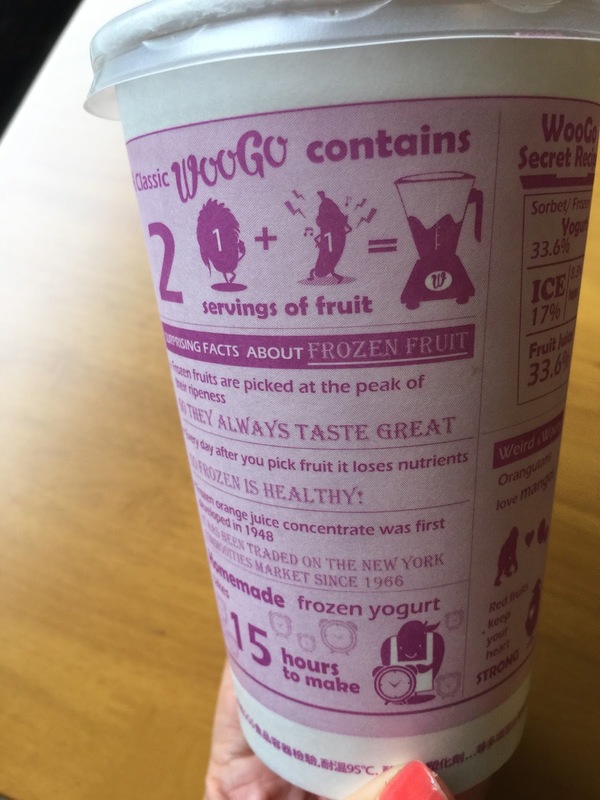 The five founders of WooGo noticed this gap too, and opened WooGo Juice in 2013 to serve California style smoothies, icy smoothies blended from frozen fruit, yogurt or sorbet and ice of styrofoam cups. 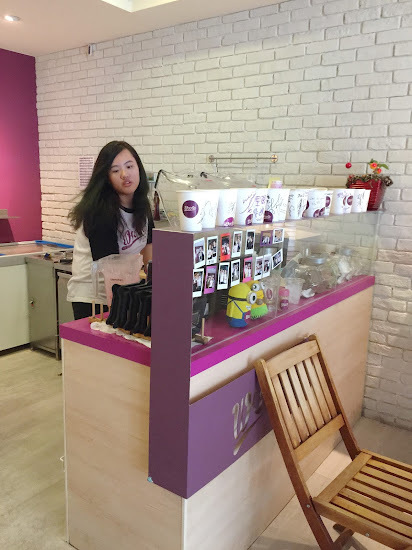 All the sorbets and yogurts are made in house, and prices are quite reasonable from NT$75-110 with M, L and XL sized cups available. Located in an alley behind Ming Yao Department Store, I must have passed by the store dozens of times since one of my favorite bakeries is nearby. I'm glad I finally gave it a try. Now I (and you) have a place to go when I'm craving Jamba Juice. Both English and Chinese menus available, with over a dozen smoothies to choose from, in categories of classics, WTF and Tropical. Hot drinks and bagels and cream cheese are also available. There's a couple of small tables to chill inside as well as on outside on the patio. Scanning the menu, the one that popped out to me was the Raspberry Mojito (NT$$95 for large) with cranberry juice, lemon juice, mulberry sorbet, raspberries and mint leaves. The mint and lemon definitely gave it a brightness and it was a good mix of sour and sweet and the perfect thickness and iciness. Loved it, who wouldn't want to drink mojito smoothies? The PBJ Sandwich sounds so strange to me, but lots of people on Instagram said it was their favorite. On my second visit, I tried the Strawberry Lemonade and the Pineapple Paradise, which were both great too, the lemonade being slightly more sour than the pineapple in a side by side tasting. The WooGo cup is a lot of fun with charts and facts to read on the go, and it's interesting they choose to make it completely in English with no Chinese. Are there enough people in Taipei who want to drink California Smoothies? I hope so. 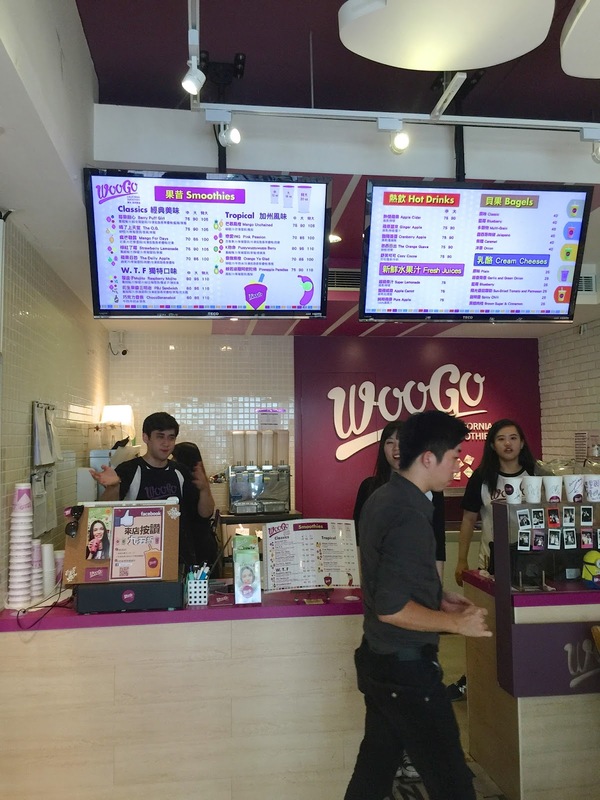 It seems healthier than boba milk teas and blended ice coffees, and cheaper than a Starbucks or shaved ice fix. 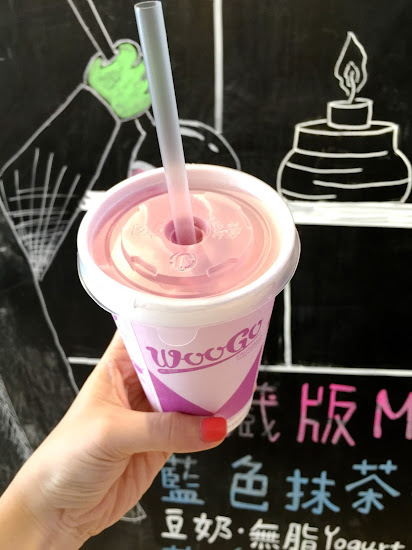 I wonder if the juice bars have taken off more than smoothies because it seems more healthy and it's not as "icy", since some Taiwanese people avoid ice water and icy drinks. (I've never had more warm water until after I moved back to Taiwan. Now when I go back to LA, I can't drink restaurant water where the ice is filled up to the brim.) But smoothies... happy to have smoothies I can grab and go in Taipei. @kris a mike- thanks so much! I'm going through your $ tag looking for cheap eats, and wanted to let you know that I'm pretty sure WooGo has closed up shop. @miki- thanks for the reminder-- yes this location has been closed awhile. Seems like they are setting up shop at various malls now..